AeroExpo UK is pleased to welcome Aston Martin to the Lifestyle Area at this year’s AeroExpo UK at Sywell Aerodrome. Aston Martin cordially invites you to view the world’s most beautiful 4-door sports Car – Rapide S. 2013 marks a special year for Aston Martin – our 100th Anniversary – and in a special year that promises so much it feels completely appropriate to introduce the best 4-door sports car we have ever made. An assertive new look. Intensified performance. Enhanced luxury and even greater scope for personalisation so that you can create a car unique to you. 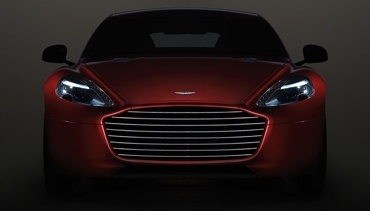 The new Rapide S is a compelling and comprehensively improved evolution of our ground-breaking 4-door sports car. More power, more beauty, same soul. Aston Martin looks forward to welcoming guests to its exhibition stand and introducing you to the Rapide S alongside more exquisite models in the current Aston Martin range.